I belonged to Sakya student in Tibetan Institute of Varanasi way back in 1980’s and in response to his view, I do agreed with the Writer. I don’t recognize anyone of these Cholug Chitues represent Cholug matter. They are elected by their Cholkha monks to represent the idea of Cholkha and as such we saw all ten of them comes from same Cholkha. Therefore, they do not respect and agree His Holiness The Dalai Lama’s effort to resolve Tibet issue. 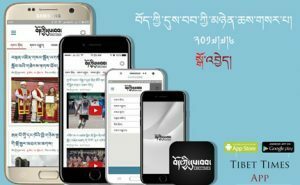 They have always spoke directly or indirectly against the Gadhen Phodrang and spread rumors within the innocents just to provoke anger to Gadhen Phodrang. We have seen how Tenpa Yarphel directly spoke against Gadhen Phodrang and Nechung in the parliament. Some of them we have seen friendly with Lukar Jam who alleged His Holiness as disloyal or betrayal to Tibetan cause. One of their indications as representing Cholkha is how they fight to elect the Speaker of parliament in 2016. I as Sakyapa, I don’t agree both of Sakya Chitues to represent us as well as all other Cholugs Chitue. None of them brought any issue about Cholug so far but always act against the vision of His Holiness and valuable precepts of Cholug Heads.